Speck iPhone 5s phone case is given the ultimate adventure test! I’m not the sitting still kind of type – to put it mildly! When I started looking for an iPhone phone case many moons ago, I knew I needed something sturdy and strong that would protect my iPhone from all the hazards that come with boarding and the general adventures I find myself enjoying around the globe. Plus, because I love a cool design, I knew my iPhone phone case had to look great too. Being an avid boarder, I just loved the cute Burton phone cases that Speck introduced a few years ago. A Burton case was my first Speck smartphone case and I never looked back! Not only do they look rad, Speck smartphone cases offer quality protection that’s hard to beat. Every experience I’ve had with Speck has been top notch, it’s as if the designs just get better and stronger every time I get a new one! But even I didn’t think my Speck case would survive my latest adventure! 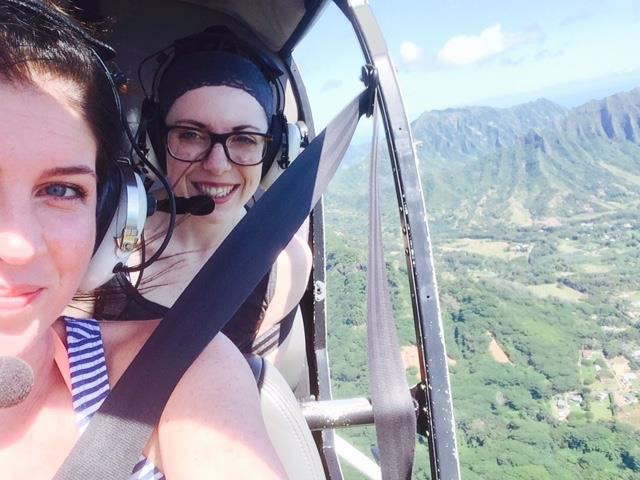 So, get this — my best friend and I were traveling around Hawaii and decided to take a helicopter ride around the island. We did a 60 minute ‘doors off’ tour and I took some seriously awesome pictures with my iPhone 5s before a wind gust swooshed my phone out the side of the helicopter! My bestie and I were totally speechless. Phone. Just. Gone! From over 1500 feet! My first thought was “I hope that doesn’t hit anybody!” And my second thought was “Oh no! All of my vacation pictures!!”. To cut a long story short, I used ‘Find My iPhone’ to track the phone, which landed in a dodgy neighborhood near Waikiki. We used an Uber to get close, not really thinking that I would get it back or that it would still work. After hunting around for a while and a few neighbors joining us in the search, we found it! The screen wasn’t even cracked! All of my pics, contacts, internet, phone- everything in order!!! I have been using Speck phone cases for over 5 years and I’ve always been happy, but this absolutely blew my mind! Check out some of the pics I got right before I lost my phone below — in one, you will see I have a rubber band connecting my phone to my wrist, and then later, a guy on top of a tarp covering gigantic tubes on a construction site where the phone landed! So crazy and amazing! I now tell this story to everyone I meet and I just can’t tell them or you enough how absolutely awesome Speck cases are! Thank you Speck for saving my iPhone and my sanity!